In The Princess Bride, outcasts and loners find true friendship. Drawing on the classic film, Ethan Nichtern offers Buddhist teachings on how to make friends with yourself and others. 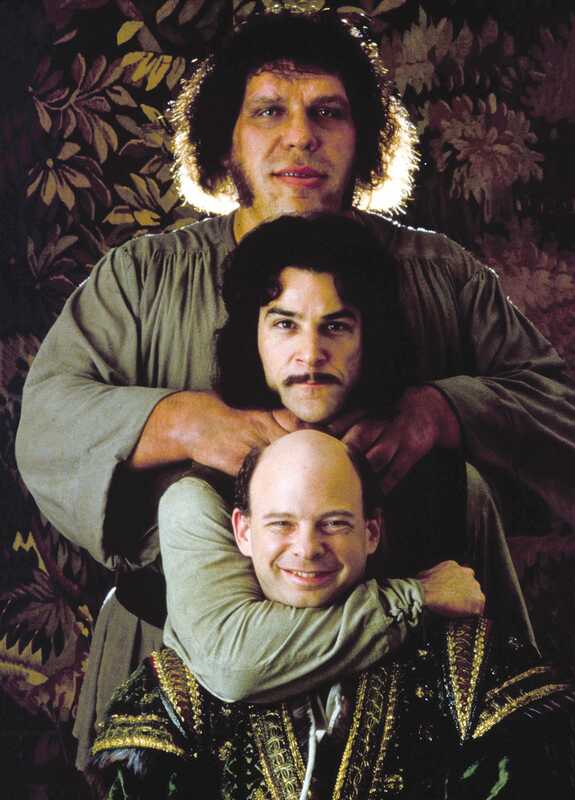 The original bromance (from top): Fezzik (Andre the Giant), Inigo Montoya (Mandy Patinkin), and Vizzini (Wallace Shawn) in “The Princess Bride.” Photo: AF Archive / Alamy Stock Photo. OBEY FEZZIK. When Andre the Giant’s stenciled face began appearing everywhere in American cities in the 1990s, immortalized against brick and concrete in artist Shepard Fairey’s series of “OBEY” stickers, posters, and graffiti, his image suddenly became Americana. Before his death in 1993, and before the generational rise of this movie, Andre the Giant was best known as an angry, hulking, powerful professional wrestler. But I was way more interested in his character from The Princess Bride, Fezzik. I used to imagine that the face depicted on Fairey’s authoritarian stencils was not the 7-foot, 4-inch, 520-pound World Wrestling Federation icon. Instead, these drawings were asking me to “OBEY” Fezzik. 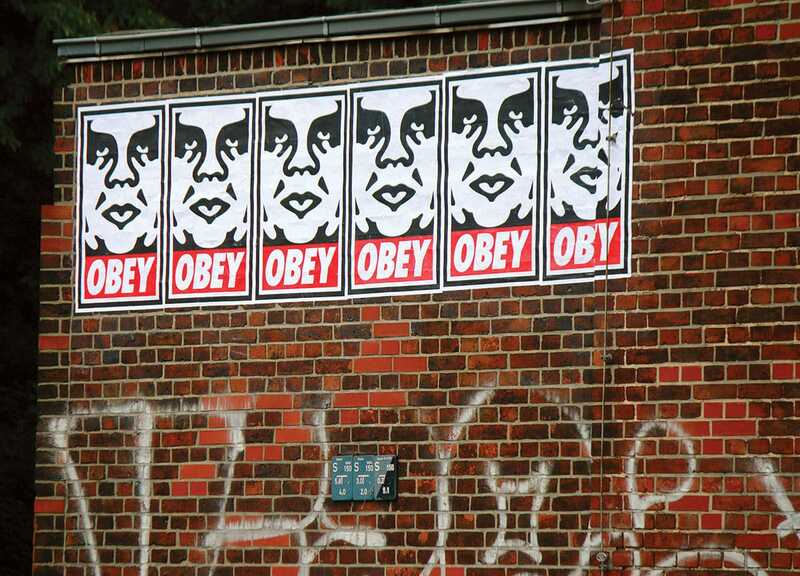 Shepard Fairey’s treatment of Andre the Giant was seen all over American cities in the 1990s. Photo by 360B / Alamy Stock Photos. If you visualized Fezzik, then Fairey’s work was no longer a clever send-up of an Orwellian theme. “OBEY” was, instead, a gentle reminder, a soft demand from Fezzik for loyalty and friendship, a command I was happy to follow. The WWF persona was a man to fear, the kind of giant who might throw you off a cliff if you triggered his wrath. Not Fezzik. Fezzik was on my side, your side, our side. Not just some colossus, Fezzik was a tenderhearted poet (“Anybody want a peanut?”), the kind of comrade who would carry you and several friends up the sheerest of cliffs, even the Cliffs of Insanity; or who would nurse you back to health from your brandy-amplified PTSD; or who would bring you four perfect horses exactly when you needed them to make sure you got away safely, reaching a place where no bad guys could ever find you. Fezzik was the friend of all friends. The Princess Bride is, first and foremost, a story of friendship. More specifically, it is a story of loners who finally find their real pals. 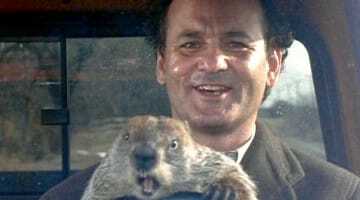 It tells of an unforeseen “bromance,” one of the greatest bromances ever to inhabit the silver screen. Their friendship begins with a post-traumatic, mercenaries-turned-besties alliance between the Turkish giant Fezzik and the Spaniard Inigo Montoya. This partnership later includes Westley, the Farmboy turned Dread Pirate Roberts turned back into Westley again. These three unlikely friends overcome their personal demons to support each other’s journeys in grief, revenge, and, of course, storming the castle to liberate the Princess. Like most friendships, theirs is a beautiful accident of circumstance, a harmonizing of shared suffering, a camaraderie that is only just beginning when the story ends. Why do these heroes come together? What’s in it for them? Friendship is never a guarantee. In this story, each hero begins as a loner. In the book, by William Goldman, the karmic origins of their solitude are further examined. Fezzik and Inigo have come together as mercenaries, and are already close friends when the movie begins, but their origin stories mark them both as social outcasts who each lost their parents too soon. Inigo’s mother died in childbirth, and his father was brutally murdered by the Six-Fingered Man, leaving Inigo alone at the tender age of eleven. In the book, Fezzik loses his parents inexplicably during a young wrestling career in Mongolia. Westley’s origin is never clearly established, only that he works in squalor as some kind of serf for the family of his beloved Buttercup. And as the Man in Black, it’s obvious Westley prefers to roll solo. So why do these heroes come together? What’s in it for them? What’s in it for anyone? Why do we ever befriend each other? Is there a biological or spiritual imperative to friendship? Do comrades aid our spiritual journey, or are we better off, as many spiritual voices have modeled and taught over the ages, figuring life out in solitude? Perhaps our desire for friendship is a remnant of our tribal days, when we had to team up to defend ourselves against neighboring clans. Thus our ancestors passed along the habit of identifying with a tight band of comrades, of defining a “we,” of forming a posse, a squad to help us survive a dangerous world. The haphazard origin of the friendships among the characters in The Princess Bride brings to mind the accidental origin of most friendships. Few friendships are ever planned. Your friends start as the kid your mother made you play with when you were little, as the girl who sat down next to you in the university cafeteria as you faced doubts about your self-worth in an unfamiliar social setting, the guy you found yourself in a heated political conversation with at a cousin’s wedding reception, the woman with whom you commiserated on the torment of having the same horrible boss, the one you kept bumping into in creative circles and with whom you eventually exchanged contact information. Friendship has something to do with coincidence, but also with mutual benefit. Friends find each other through attraction, but the chemistry involved is much harder to name than sexual or romantic longing. We can’t be sure why Fezzik and Inigo, for example, love each other so dearly, but their Odd Couple charm reminds me of the pull of so many friendships over the course of my own life. Inigo and Fezzik meet as mercenaries working under a man who is the definition of a bad boss, the Sicilian “genius” Vizzini. 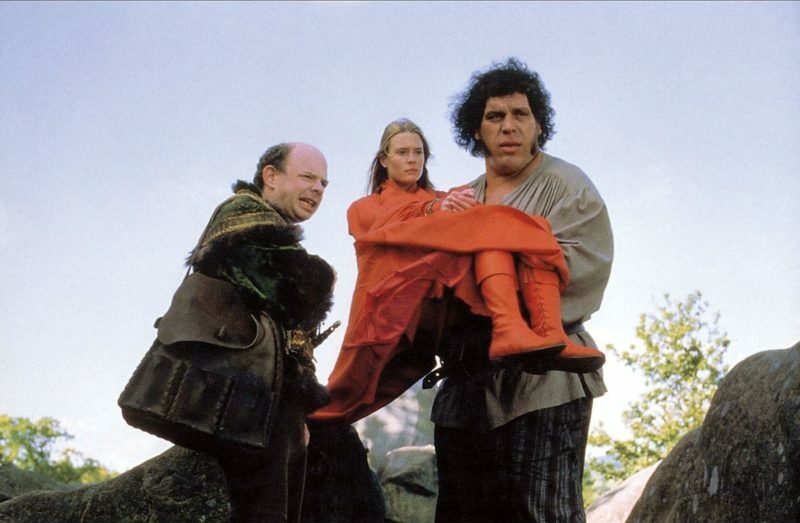 Perhaps the two create bad karma when they help Vizzini with his plot to kidnap and kill Buttercup. However, as the story makes clear, the two are good guys who’ve lost their parents and might just exhibit poor judgment when it comes to obeying their abusive employer. Lose your parents, find an abusive new father figure. It’s a classic story. When we meet them, Inigo and Fezzik have built an amazing connection, a friendship that will eventually include a third, heartbroken warrior, the formerly innocent Farmboy Westley, now the deft Man in Black, aka the current holder of the title “Dread Pirate Roberts.” Personally, I always longed to be part of such a wacky brotherhood, or brother-and-sisterhood, and turned to this movie whenever my life felt as if it were missing the presence of that genuine quirky and supportive friend. Whenever I couldn’t find my Fezzik in real life, I found Fezzik here. 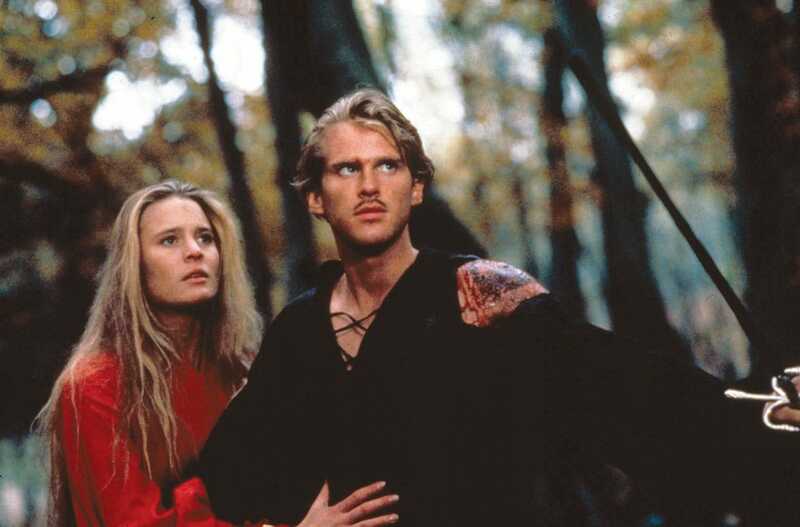 When Princess Buttercup (Robin Wright) asked Westley (Cary Elwes) how he could be sure he’d come back for her, he replied, “This is true love. You think this happens every day?” Photo: Moviestore Collection Ltd / Alamy Stock Photo. Participating in a great friendship is one of the wonders of life. How do you find one? Are there clear Buddhist rules for when a friendship is at its best, when it aids one’s practice of mindfulness and compassion? From a Buddhist perspective, a good friendship is one that helps you recall your awakened qualities, qualities that, like muscles, need to be developed through training. These qualities include patience, generosity, and insight. There are certainly some classic Buddhist guidelines for building healthy friendships. But to understand the Buddhist approach to friendship, you have to start at the beginning. The key to friendship, to finding your Fezzik, is first to make friends with yourself. Theure is a simple word for this process of accepting your own friend request: that word is meditation. This has nothing to do with leaving the world behind or transcending anything. It has to do with getting to know yourself so that you will be poised to befriend others more fully. Those who meditate will tell you that meditation brings you more in touch with your aloneness. Mindfulness delivers an experience of the mind that cannot be directly shared by anyone else. Meditation can provoke a lot of restlessness and, on a deeper level, unveil anxiety and fear because the practice points out the raw truth, stripped bare of distractions, that you are, in fact, always alone with your own mind. The mind that is discovered in meditation is a personal and private space, a movie theater with a seating capacity of one. I often joke that we should serve ourselves popcorn during meditation sessions, because the mind is history’s greatest cinema. Sit up, relax, and enjoy the show. Sometimes my personal movie is boring, like watching twenty minutes of C-SPAN. At other times, my mind is more rambunctious, like an episode of Game of Thrones. In the theater of self-awareness, you are cowriter, codirector, and audience for your own perceptions, beliefs, and opinions. If you’re going to learn how to befriend other humans, you have to match that effort by befriending yourself. Something seminal happened to me during a difficult era when I discovered The Princess Bride. I took my first formal class in meditation, a class just for children. I was nine or ten, and found the practice incredibly boring—I didn’t start meditating semi-regularly until high school—but it was a productive boredom, a nonevent that carried tremendous value. Being silent with the tools of mindfulness introduced me to a feeling of vivid ordinariness. In that space, the seeds were planted for a delayed-release curiosity about the mind. Most of the ordinary magic of meditation was lost on me at the time—I fell in love with the practice only later on—but I remember the value of realizing that I had an entire internal world to explore, my own VHS collection of thoughts and stories, perceptions and projections. The mind was an inner space that was related to, and yet totally distinct from, the world out there. In fact, my mind was my true home, a home into which others could never be fully invited. Because of this privacy, the mind is a realm equal parts scary and fascinating: one part castle, one part haunted house. I have spent many years since then trying to get to know my mind a bit better, in order to become more genuinely available for the people I know and love. If you’re going to learn how to befriend other humans, you have to match that effort by befriending yourself. In the course of my life, if I really wanted to “find my people,” I also had to learn how to find myself, if not as my best friend then at least as my first friend. Later on, the existential confusions of puberty and high school made me commit to regular meditation. And the first time I got dumped in college, that’s when I knew I was a Buddhist. During those years, the practice and teachings became indispensable to who I was. When you meditate, you don’t find instantaneous peace, although practice can definitely guide you into a less tumultuous inner setting, a relative calm within body and mind, at least temporarily. The positive effects of mindfulness techniques on the parasympathetic nervous system have been well documented, both anecdotally and empirically. I trust the accumulated accounts of millions of practitioners more than I trust the objective evidence of scientific studies, but both are quite helpful. There is, however, one big fairy tale currently being offered up about meditation: the fantasy of transcendence, the possibility of entering a permanent bliss state, an inner paradise devoid of thoughts and feelings. Some systems of meditation promise a sudden bypassing of all the discomfort of thoughts and emotions, the ability to settle into the same induced ease every single time you sit. While these approaches may have some positive effects on stress levels, I believe they are not as reliable as promised. And even if these versions of meditation are helpful, they miss the real treasure chest of the practice. The deepest benefit of meditation, for me, is the possibility of befriending the inherent creativity of the mind itself. When you feel at home in your awareness as it is, you have access to the power of your mind as a creative tool. The mind no longer needs to be wrestled or suppressed into peace. 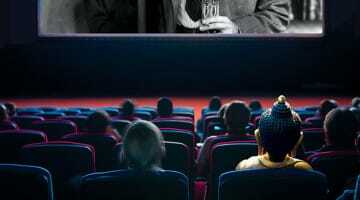 When your awareness is like a movie screen, and your thoughts are seen as worthy characters, the mind becomes like a theater. When you watch a movie, would you rather get to know the characters or pretend they don’t exist? Genuine meditation includes a certain amount of discomfort. Chief among the uncomfortable experiences of meditation, you will eventually discover, are your own Rodents of Unusual Size. In this case, they are Rodents of Unusually Small Size, so small they aren’t even physical entities. These Rodents of Unusually Small Size are negative thoughts, the aggressive commentaries with endless self-critiques that gnaw at you. They’re the thoughts that tell you you aren’t good enough, not properly equipped to be human. These pests try to convince you that you’re probably going to die forgotten and unloved. No one knows yet where negative thoughts reside physically in brain or body, or where they come from. (They aren’t single origin.) Maybe it’s our advertising culture that forces these Rodents of Unusually Small Size upon us; maybe it’s institutional racism and sexism; maybe it’s inherited trauma from our parental and genetic lineages regarding self-worth; maybe it’s an inheritance from a previous lifetime of confused circumstances. I think it might just be all of the above. Who knows? Long before anyone knew what the brain looked like or how a nervous system functioned, the Buddha realized an important point. Moment by moment, we don’t need to know exactly where our thoughts live in the brain; we just need to know how to work with them. The set of tools for doing so could collectively be called “mindfulness.” Over time, mindfulness can help you cohabitate your nervous system safely with the Rodents of an Unusually Small Size. With greater familiarity, some of your negative thoughts might become harmless. Some rodents might dissolve into space. Some might even morph into little Mice of Compassion. Inconceivable! Fezzik at the top of the Cliffs of Insanity, which he scaled while bearing the weight of the others. That’s what friends (and kidnappers) are for. Photo: AF Archive / Alamy Stock Photo. The purpose of meditation is to learn to be truly yourself. But if you want to be yourself, you have to invest considerable training in being with yourself. As I have discovered through my own struggles, if you don’t set aside time for getting to know your mind directly, then in the presence of others your sense of self will get increasingly confused. Without mindfulness, you will always be constructing your sense of self based on others’ perceptions. Why is this externalized experience of self a problem? Because you can’t ever really know for sure what others think of you. You receive only occasional feedback: gestures, glances, comments about who people think you are. These external messages are always subjective, momentary, and indirect, received in pieces, brief exchanges, fragments of interaction. While you worry what others think, they are caught up in the same game themselves, worrying what you think of them. So without being able to know what others think of you, you are left to define your sense of self in terms of what you believe others might think about you, which is two degrees of separation from a verified connection with your own mind. Meanwhile, while you worry what others think, they are caught up in the same game themselves, worrying what you think of them. On top of this indirect experience of self, we often operate from the premise that the messages we receive confirm an underlying suspicion: that there is something fundamentally wrong with us. In a society where the residual belief in original sin is deeply embedded in our secular identity, suspicion of human nature is the cultural air we all inhale. If you assume that your humanity is somehow flawed, unwholesome, or broken, then you might fear that time spent with others will expose this underlying brokenness. If you engage in friendships from this angle, you will always be relating to friends while hoping to fix the things about yourself that you’re afraid the other person sees. Now you’re several degrees and one big Pit of Despair away from experiencing yourself directly. The solution to this mess is not to abandon other people; it’s to give befriending yourself the same urgency that you give to befriending others. From The Dharma of the Princess Bride: What the Coolest Fairy Tale of Our Time Can Teach Us About Buddhism and Relationships, published by North Point Press, a division of Farrar, Straus and Giroux. © 2017 by Ethan Nichtern. All rights reserved. Ethan Nichtern is a Buddhist teacher and the author of The Road Home: A Contemporary Exploration of the Buddhist Path, One City: A Declaration of Interdependence, and the novella/poetry collection, Your Emoticons Won’t Save You.